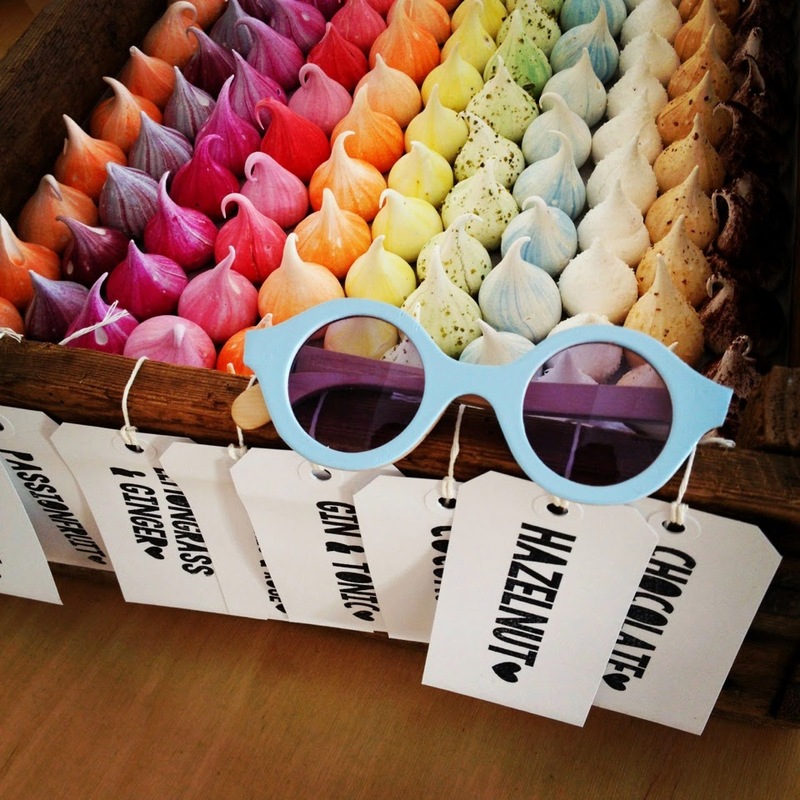 The current collection including Base Frames in assorted frames and colour ways..
How cute and perfect are these Base frames fitting in with this season's pastel trend..
Coloured and different flavoured Meringue by the Meringue girls. Too good enough to eat.. I recently attended the Termite Eyewear new collection preview which took place last thursday at Platform Creative PR studio to launch two special edition ranges "METRO and BARBER" collections. Termite Eyewear you may have heard me mention about this brand in my previous post here. 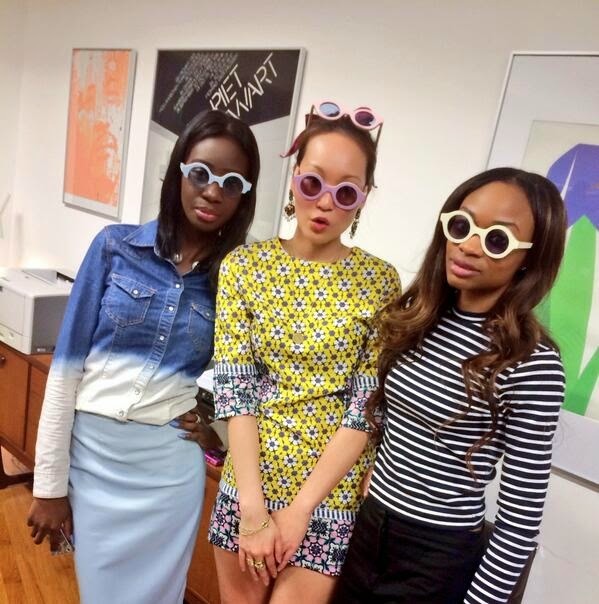 Natalie Finch and Patricia Williams are the creative design duo behind the iconic ethical eyewear brand. The pair have worked extensively and honed skills at a number of reputable brands such as Celine, Jonathan Saunders, Calvin Klein and Ragged Priest. Also they have featured in Grazia Magazine, Company magazine, Dash magazine to name a few. 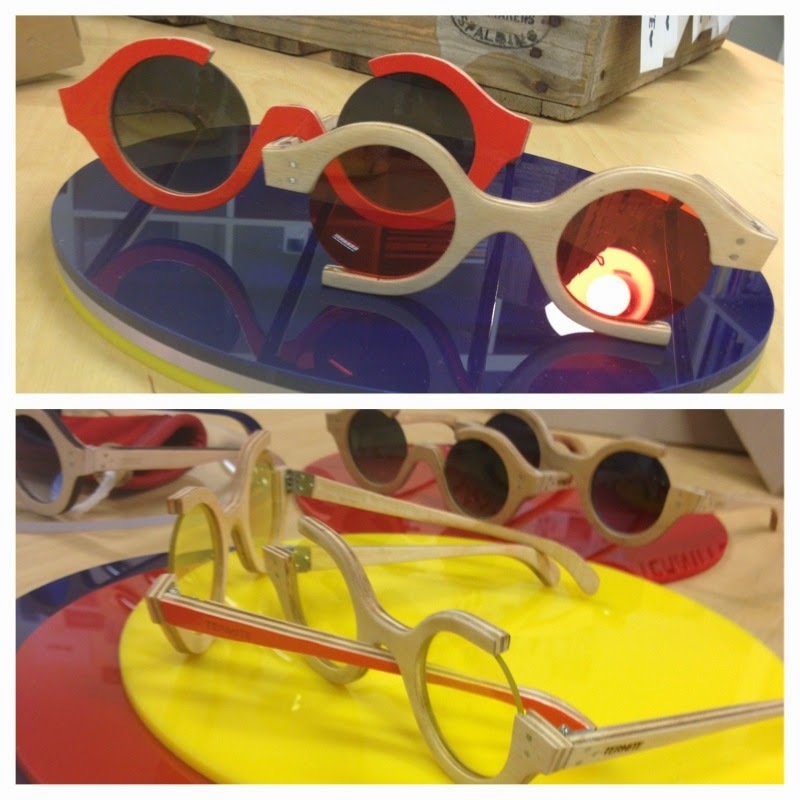 Takes inspiration from the prestigious London Tube map through the use of primary colours along with assorted colour lenses and fluid lines exploring new frame abstract shapes. Takes inspiration of Old English heritage through rich colour ways and textures, focusing more on traditional culture and vintage interiors. 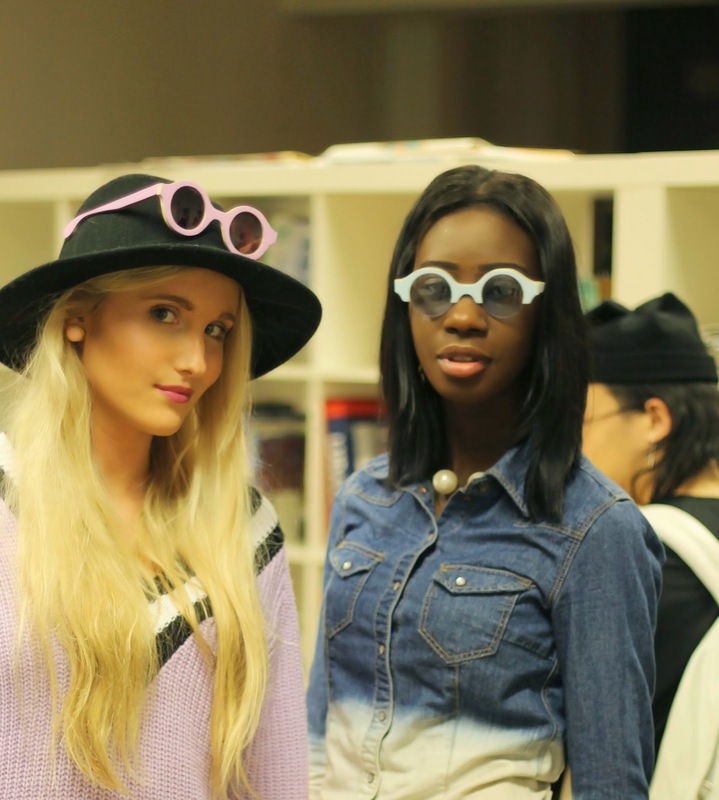 The rounded frames have like an 50s,futuristic design aesthetic to them yet with an androgynous feel. The brand hosts innovative design and sustainable 'Made in Britain manufacture; designs are made by environmental friendly materials such as reclaimed birch wood and all pieces are laser cut to create a flawless high gloss finish with exposed raw layers. Termite eyewear shows that recycled high fashion can be challenging,exciting and desirable in no way that is boring and frumpy. 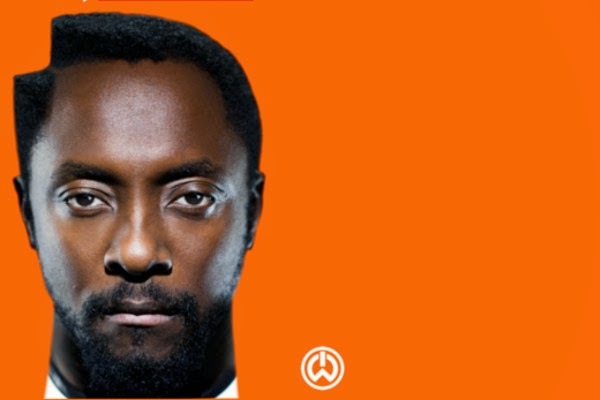 Natalie Finch of Termite Eyewear told me she would love to see Will I am in her designs. 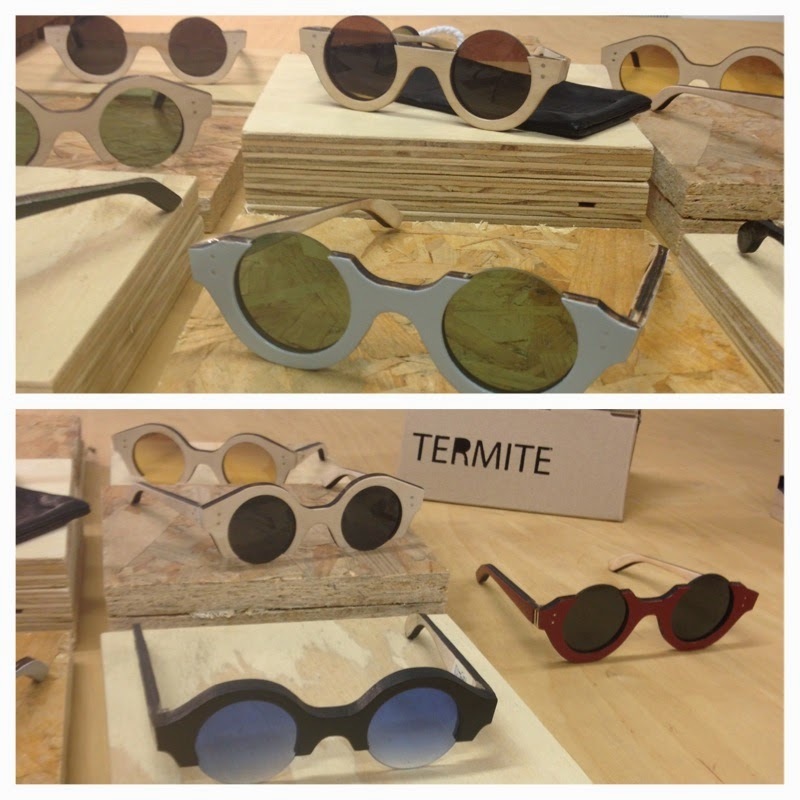 Termite Eyewear are going to be huge. Watch this space. You heard it here first! !